First of all, I would like to introduce myself. My name is Ae Najiang. I am studying Grade 12 at Senior High School. My parents don’t have Thai nationality. Therefore, I don’t have Thai nationality even though I was born in Thailand. My family is very poor. When I was a child, my parents took me to file a request to get Thai citizenship and I always follow up the request. I only have a birth certificate and a house registration as my evidence. I always follow up with the district office about my request but every time it got rejected and they always ask for more evidences. I don’t understand why the district office cannot manage the documents case by case because every time I go there, I have to spend money for transportations but I have to go to get my rights. I wanted to study and get a bachelor’s degree. I have an aspiration to become a doctor but my family is very poor. My parents don’t have enough money to support my education. I looked for information and found that there are scholarships available at the school but it’s only for students who are Thai citizens. 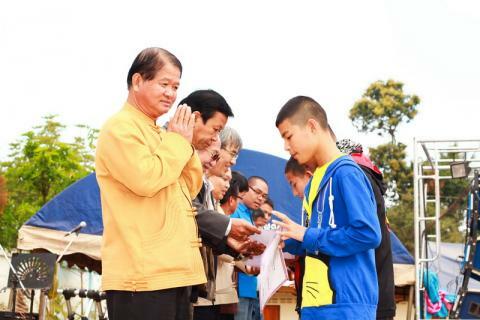 It is the same as other projects that only support students who has Thai citizenship. So I think I do not have a chance to study because I am not a Thai citizen. I don’t have a right to education. My parents do not have enough money. My future and my dream career are over. I have seen many seniors who were not able to continue studying because they don’t have money and cannot get scholarship because they are stateless. We cannot get scholarships from the government. Finally, they have to work as laborers. It is also difficult for us to travel. Every time we want to travel, we have to get the permission from local government to leave the area. Some people offered to help me get Thai citizenship but once they get information from us, they never come back. My family does not get equal rights like other families. For example, when we are faced natural disasters, we were not able to get any assistance like the other families did because we are not Thai citizens. Previously, I met Teacher Yee who is from the Free School Project under the Mirror Foundation. Teacher Yee told me about the project to help stateless students. So Teacher Yee gave my documents to SCPP’s legal clinic run by the Mirror Foundation. After that, the project staffs contacted me and provided continuous help. Later, the SCPP’s legal clinic staff called my brother and informed him that I got Thai citizenship. I am very happy and thankful for the Mirror Foundation’s SCPP legal clinic and everyone who helped me get Thai citizenship. I will study hard and be a good person to contribute to Thailand, the country where I was born. This is written in Thai and translated to English by Miss Itsaraporn Daoram, Country Coordinator for Thailand. Photo above shows the District Governor and government officers handing over certificates and ID cards to children who successfully obtained Thai citizenship through the SCPP project. The Stateless Children Protection Project (SCPP) is a network comprising of 7 NGO’s working together to protect their rights of stateless children. SCPP is active in 5 provinces in Northern Thailand (Chiang Mai, Chiang Rai, Mae Hong Son, Phayao, Tak) and has been supported by terre des hommes Germany and BMZ since 2008.